This charming old truck can be seen while visiting Hanapepe Town on Kauai's west side. I just love the flames on the truck with the cascading bougainvillea in the back! 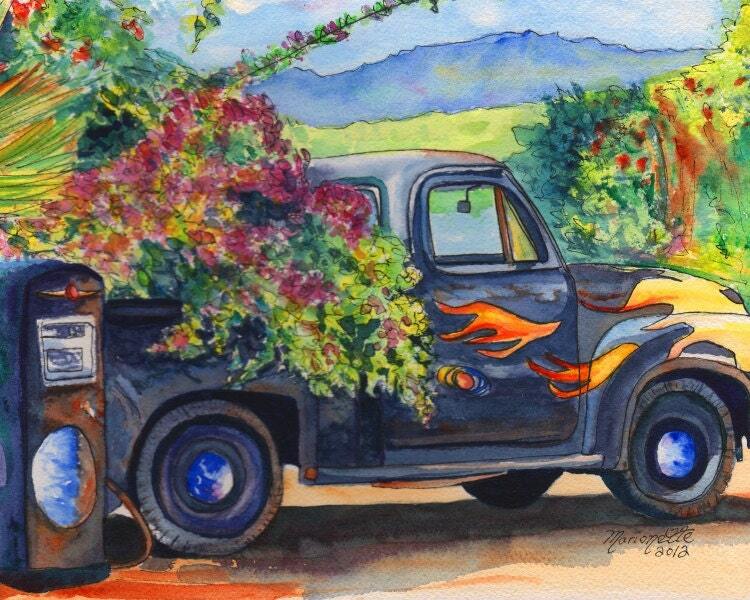 "Hanapepe Truck" This giclee print is signed by the artist and is printed with archival inks on radiant white watercolor paper. It is a reproduction of an original watercolor painting and comes packed in a clear sleeve with a backing board (unframed). Colors may vary slightly from monitor to monitor.